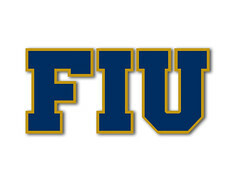 FIU will need to search for a new Soccer Coach. I'm guessing Calabrese got tired of waiting for the long promised soccer stadium. Go F I U! If that's true, I don't blame him. Look at the other CUSA soccer facilities. Hell, FIU is barely adequate for a high school team. If it wasn't for being in Miami, FIU likely isn't even competitive in the conference. FIU's got to get with it there. And fast. It's beyond embarrassing at this point. Anyway... good luck to Calabrese. He did well here. Can't hate on the guy for going somewhere that will likely support him better. He probably saw all the money being thrown at Butch and the football program and said "What about soccer? I'm out!" Probably true. Makes sense. But, in the grand scheme of things, unfortunately, a decision has to be made in terms of allocating funds to the most upside. At this time, I (and I suspect you do too) agree with getting Butch Davis all that money. Still, too bad a very good coach left FIU, especially if it was for lack of funds/improvements. Good luck to Coach Calabrese. I get that football is more important than soccer. Without question. I'm sure Calabrese understands that. With all the construction that's gone on there, you seriously mean to tell me Athletics can't even repair the stadium and try to make it look respectable? I understand that the money sources are different... but it doesn't appear like Athletics is even trying to address the problem. That, in itself, is a big problem. I mean, that stadium was a rickety crap-hole when I was calling games as a student... and that was over a decade ago. It's only gotten worse and will continue to only get worse until someone puts some money into it. When you can't host an NCAA postseason game there because the conditions are THAT BAD... I'm sorry, but that just shows a general lack of seriousness. When it impacts the one men's program that's actually been good at the national level... that's just criminal. And the women's team plays there, too, so they're also affected. The really nutty part to me is... it's not like FIU doesn't have some successful soccer alums. I wonder if anyone's reached out to guys like Steve Ralston? Or maybe to the old FIU players in general? I can't imagine they wouldn't at least listen to any sort of pitch to improve the facilities at this point. They know how much that stuff matters. There's also the Miami FC association (though they're definitely not cash flush at this point). At this point, I'd seriously just move the home games to the football stadium. Or at least consider it. Playing there is a joke, honestly. There's no way that didn't affect Calabrese's recruiting. He probably got sick of having to defend the undefendable.